In Javea, Denia and surroundings it´s normal that you put your house up for sale with several different real estate agents. Not having your house with one real estate agent exclusively is quite normal here and that´s ok. However, how many sets of key do you need then? How do you keep track of everybody who has copies of your keys and how do you know where they end up? We offer the solution with our key holding services! 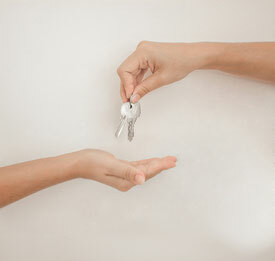 We can hold the keys for you, one central place and a contact you can trust. That way you only need to leave behind one set of keys and you can use as many real estate agents as you want for selling your house. Each real estate agent can pick up the keys whenever they have a visit planned and we keep track of the keys for you to make sure they always get back. Besides, we can keep record for you of the visits of your house for sale. We can even do visits for your house ourselves if you want to sell privately and you are not there. Ask us now for our key holding services!